Kawazulite: Mineral information, data and localities. 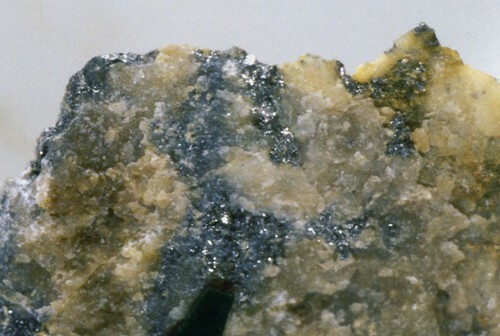 Gold 2 photos of Kawazulite associated with Gold on mindat.org. American Mineralogist (1972): 57: 1312. 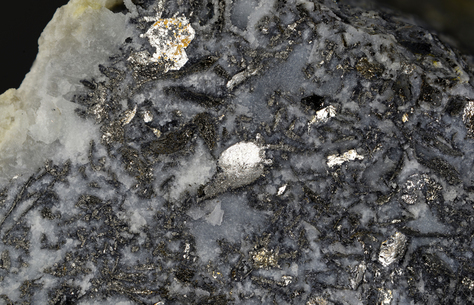 Neues Jahrbuch für Mineralogie, Abhandlungen (1995): 169: 305-308. Cook, N. J., Ciobanu, C. L., Wagner, T., Stanley, C. J. (2007): Minerals of the system Bi-Te-Se-S related to the tetradymite archetype: review of classification and compositional variation. Canadian Mineralogist 45, 665-708. Milka K. de Brodtkorb (2002) Las Especies Minerales de la Republica Argentina. Vol. 1 (elements, sulphides and sulphosalts). (Asociacion Mineralogica Argentina); DE BRODTKORB, Milka K. Precious metaltellurides and other Te-bearing minerals in different paragenesis of Argentina: A review. Rev. Asoc. Geol. Argent. [online]. 2009, vol.64, n.3, pp. 365-372.; Paar, W. H., Putz, H., Topa, D., de Brodtkorb, M. K., & Sureda, R. J. (2005, January). Occurrence and paragenesis of tellurium in mineral deposits of Argentina. In Mineral Deposit Research: Meeting the Global Challenge (pp. 1419-1422). Springer Berlin Heidelberg. Ehrig, K., McPhie, J., Kamenetsky, V. (2012) Geology and mineralogical zonation of the Olympic Dam iron oxide Cu-U-Au-Ag deposit, South Australia. Economic Geology Special Publication 16, pg. 237-267. Cook, N. J., Ciobanu, C. L., & Bogdanov, K. (2002) Trace mineralogy of the Upper Cretaceous banatitic Magmatic and metallogenetic Belt, SE Europe. In 11th Quadrennial IAGOD symposium–Geocongress 2002, Windhoek, Namibia, July 2002. CD Volume of extended abstracts. Bonev, I.K. ; Petrunov, R.; Cook, N. J.; Ciobanu, C. L. (2005): Kostovite and its argentian varieties: Deposits and mineral associations. Bulgarian Academy of Sciences, Geochemistry, Mineralogy and Petrology. 42, 1-22; Cook, N. J., Ciobanu, C. L., & Bogdanov, K. (2002) Trace mineralogy of the Upper Cretaceous banatitic Magmatic and metallogenetic Belt, SE Europe. In 11th Quadrennial IAGOD symposium–Geocongress 2002, Windhoek, Namibia, July 2002. CD Volume of extended abstracts. Georgiev, Georgi (2008) A genetic model of the Elatsite porphyry copper deposit, Bulgaria. GEOCHEMISTRY, MINERALOGY AND PETROLOGY • SOFIA 46, 143-160. Kjarsgaard, I. M., & Ames, D. E. (2010, June). Ore mineralogy of Cu-Ni-PGE deposits in the North Range footwall environment, Sudbury, Canada. In 11th international platinum symposium, program abstracts, Ontario Geological Survey, miscellaneous release-data (Vol. 269). ; Ames, D. E., McClenaghan, M. B., Averill, S., & Milkereit, B. (2007). Footwall-hosted Cu-PGE (Au, Ag), Sudbury Canada: towards a new exploration vector. Exploration 07, Exploration in the New Millennium, 1013-1017. Kjarsgaard, I. M., & Ames, D. E. (2010, June). Ore mineralogy of Cu-Ni-PGE deposits in the North Range footwall environment, Sudbury, Canada. In 11th international platinum symposium, program abstracts, Ontario Geological Survey, miscellaneous release-data (Vol. 269). Rigobert, T., Claude, D. J., Marambaye, D., & Yannick, B. (2013): On the occurrence of gold mineralization in the Pala Neoproterozoic formations, South-Western Chad. Journal of African Earth Sciences 84, 36-46.
ⓘ Jílové gold mining district ? Panagiotis Christos Voudouris, Vasilios Melfos, Paul G. Spry, Robert Moritz, Constantinos Papavassiliou und George Falalakis (2011): Mineralogy and geochemical environment of formation of the Perama Hill high-sulfidation epithermal Au-Ag-Te-Se deposit, Petrota Graben, NE Greece. Mineralogy and Petrology 103, 79-100. Takács, Á., Molnár, F., Turi, J., Mogessie, A. & Menzies, J. C. (2017): Ore mineralogy and fluid inclusion constraints on the temporal and spatial evolution of a high-sulfidation epithermal Cu-Au-Ag deposit in the Recsk Ore Complex, Hungary. Economic Geology 112, 1461-1481. Shuji Ono, et al. (2004) Resource Geology, 54, 4, 453-464. Pieczka, A., Gołębiowska, B., & Parafiniuk, J. (2011). 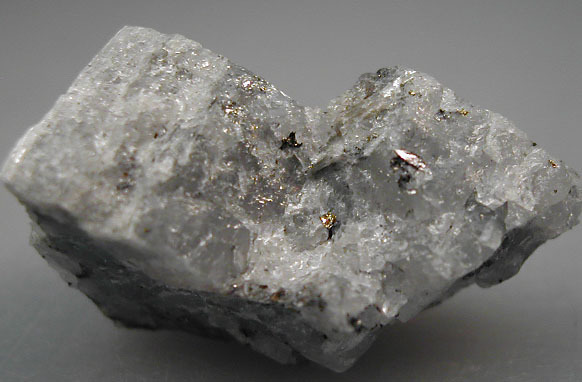 Gold in sulfide-telluride assemblages at Rędziny, Rudawy Janowickie Range. Gold in Poland, AM Monograph, (2), 119-134. Vikentev, I. (2016, April). Selenium, tellurium and precious metal mineralogy in Uchalinsk copper-zinc-pyritic district, the Urals. In IOP Conference Series: Materials Science and Engineering (Vol. 123, No. 1, p. 012027). IOP Publishing. Cook, N. J.,Ciobanu, C.L.& Danushevskiy, L, (2007): LA-ICP-MS determination of gold in Bi-chalcogenides from four deposits in the Fennoscandian Shield. Geological Survey of Finland, Guide 53, 23-30; Cook, N. J., Ciobanu, C. L., Spry, P. G., & Voudouris, P. (2009). Understanding gold-(silver)-telluride-(selenide) mineral deposits. Episodes, 32(4), 249. Collected by and in the collection of Brent Thorne. EDS and XRD analzyed by Tony Kampf. Kovalenker, V. et al New Data on Minerals (2003): 38: 45-56; Plotinskaya, O. Y., Kovalenker, V. A., Seltmann, R., & Stanley, C. J. (2006). Te and Se mineralogy of the high-sulfidation Kochbulak and Kairagach epithermal gold telluride deposits (Kurama Ridge, Middle Tien Shan, Uzbekistan). Mineralogy and Petrology, 87(3-4), 187-207.